Images can add a lot to your web pages. Consider using individual images as hyperlinks. Consider the utility of multiple hyperlinks on an images map as a navigational tool. In the general case, the img element can have a number of attributes though the above example only has a single one, src. In this case, the src attribute is required -- it doesn't make sense to have an img tag without specifying which image. 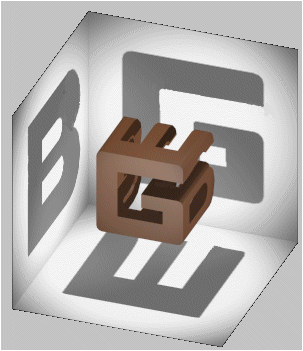 use [Goedel Escher Bach] as the alternate text if the image is not or cannot be displayed. But why does the image on lines 226-231 of this page display in the center of the space? So an image tag which includes the class attribute named the value "center" will then display in the center of the space. 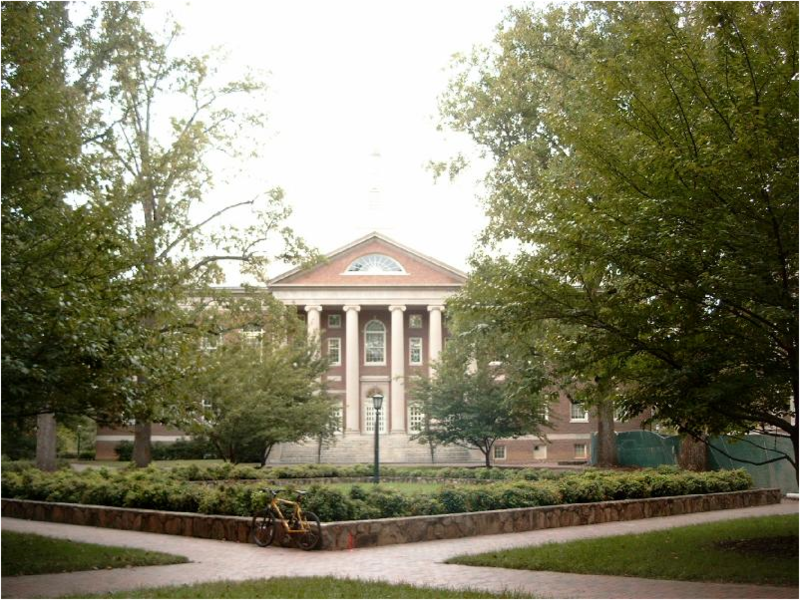 Now when you click on the image it will take you to the UNC homepage. Image maps are "clickable images". They allow you to specify which URL should be accessed when a user clicks on a part of an image. For example, if you have a state map and want to bring up information about selected counties when a user clicks on the shape of the county, then you can do so by defining a geometric shape around a county and associating the coordinates of that shape with a URL of your choosing - in this case, a county information page. This is a very powerful tool and gives you a lot of flexibility in how you design your pages. It's a step towards dynamic-content as well. There are two dimensions to image map creation. A client-side image map contains all of the shape information and associated URLs in an HTML document, usually the same document that contains the image. They run more quickly because the client has all the information it needs to work. On the other hand, a server-side map contains all of this information on the server in a place completely separate from the file containing the image. The terms client-side and server-side simply refer to where the "click" coordinates are interpreted and translated into a corresponding URL - on the client or on the server. Server-side image maps require you to do the creation work on the server. The second, more practical dimension of image map creation, is how to actually create one, in this case a client-side image map. You can create a map by hand using any of a number of free applications, a program like DreamWeaver or Photoshop to determine the shape coordinates, or you can use a program specifically designed to do image map creation. ITS has contracted with Adobe to make Creative Cloud (which includes both Dreamweaver and Photoshop) available to all students. Go to the Adobe Creative Cloud page and download the programs you need. SILS has links to relevant tutorials so you can get the most out of programs like Dreamweaver. Here is a simple example of the HTML code for a client-side image map. Looking at the code, we see the instructions shown below on this page. Components of the image map. The usemap attribute of the img element says "this is a client-side image map". The map shapes and coordinates are in a map element called "#FPMap0". The map element shows two separate shapes (circle and polygon), each of which refers to a different file, designated by its relative location in the file structure. We will create an image map web page in which we will use an image as a navigation feature. Our goal is to use the top image as a visual way to find things. For this example, we'll use Dreamweaver, though you may use any program you prefer. then paste that source code into the code tab on the page you have open in Dreamweaver. Toggle back to the design tab and you can see the page you will work with. But we need two more pages, so go through the same procedure with a second page and a third page. You will then have three pages to work with. We need to add an image. 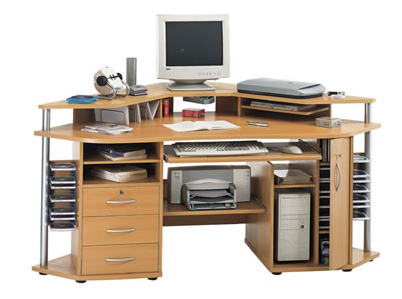 In this case, let's use this image of a workspace. open it, then copy image location. insert the image it into your new first page, replacing the words "(placeholder for picture)" by using the copied image location as the URL in the Insert Image dialog box in Dreamweaver. Now on page 1, select the image and, using the Rectangular Hotspot button on the pictures toolbar, place a rectangle around the top drawer on the left side of the image. You will get a hyperlink dialog box. Link the hotspot to page 2. Again on page 1, select the image and, using the Polygon Hotspot button, place a polygon around the top two CDs in the CD tower on the left side of the image. Link the polygon hotspot to page 3. Again, and finally, on page 1, select the image and, using the Circular Hotspot button, place a circular hotspot around the keyboard. The circle is tricky, so place your cursor in the middle of the keyboard and drag out the circle as wide as you want it. Link the circle to the Microsoft's shortcut page. Check it out. Open a browser, then open the file you just created to look at the page in a browser. Click on your hotspots and see where they take you. So, this image map was created by Dreamweaver, but displays all browsers. The image map is defined by a shape mapped onto an image. The map defines the browser's action when the user clicks within the shape, in this case causing a new html file to open. a target location associated with clicking on the mapped area of the image. 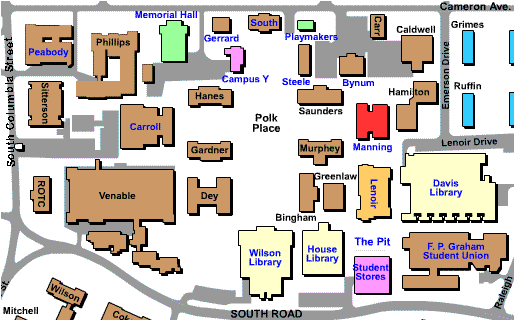 Manning Hall - navigate to the computer lab with a rectangular hotspot around the front door. You can use some editors to create image maps or online tools such as image-maps.com.